Above: Meeting with Ombudsman of Civil Rights. In June 2017, the Our Voices project, financed by the European Commission and conducted in three countries (Ireland, Spain, and Poland) came to an end. One of the last events was a meeting in Strasbourg of representatives from the three countries. On paper, the project was over, but not the in the hearts and minds of the participants from Poland. At the last official meeting of the project in June 2017, the participants realized that the conclusions and recommendations worked out during the year and a half project should not be the end. But rather the beginning of real change in social services in Poland. The Our Voices participants decided they wanted to keep working together. So as to implement several ideas developed during the project. After a few meetings they decided to focus on one big change – creating the institution of Ombudsman of Social Services in Poland. Such an institution would be based on the national Social Rights law and its function could be similar to the existing institutions of Ombudsman of Public Health or Ombudsman of Social Services in Finland. The Ombudsman would be concerned with the rights of both social service “clients” and social workers. The function would be similar to government offices that oversee the rights of consumers or medical patients. Our Voices participants presented their idea for a Spokesman of Social Services to government officials in Daleszyceas. Between June 2017 and June 2018, Our Voices started working toward creating the institution of Ombudsman of Social Services in Poland. People experiencing poverty, academics, and other professionals developed a survey together. In order to gather a wide range of opinions about the idea of the Ombudsman. After a good deal of preparation, including training for activists in conducting the surveys, each group surveyed their peers, i.e. people in poverty administered questions to others experiencing poverty. More than 10 people are now conducting the survey and collecting the resulting questionnaires. The Our Voices members participated in two meetings to promote the Ombudsman idea with government officials. The first meeting was in November 2017 with the Ombudsman of Civil Rights, Adam Bodnar. The topic of the meeting was the problem of homelessness, but the Our Voices activists brought up the idea of the Ombudsman who would, among other responsibilities, support people experiencing difficulties related to homelessness. The Ombudsman was very interested in the idea. The participants of Our Voices Poland hope to have his support in the future. The second meeting was in a small community called Daleszyce. 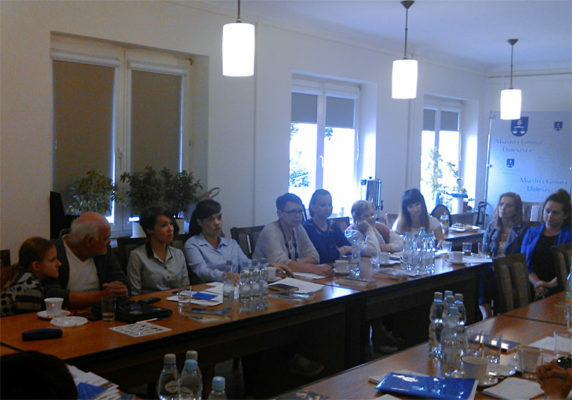 Government officials in Daleszyce invited the representatives of the Our Voices group. They also invited directors and social workers from nearby communities to take part. During the meeting Our Voices participants presented their project and introduced the idea of the Ombudsman of Social Services as well as the Merging Knowledge methodology. 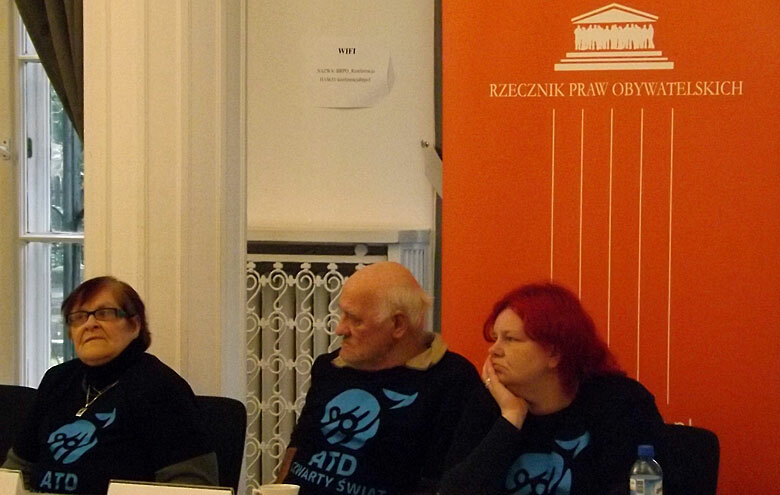 In the discussion about social services that followed, the activists talked about their experiences with social services in Poland. The Our Voices participants are enthusiastic about moving forward with this project. Next steps will focus on analysing results from the survey and using them to promote the idea of a Ombudsman of Social Rights in Poland. Find out more on the Our Voices project.